Lenco's new PlayLink speakers can churn out some serious bass, and they're packing Qualcomm smart tech to boot. Audio firm Lenco, adored by hobbyists for its historic turntable range, has announced PlayLink, a wireless multi-room audio system that runs off Qualcomm's smart AllPlay platform. Two different portable speakers make up the new series - the PlayLink 4, pricing at 199 euros (£159), and the much larger PlayLink 6, which marks up at 299 euros (about £239). Up to ten speakers can be connected simultaneously, meaning you can kit out every room in your house with a PlayLink. You can also create multiple 'audio zones' and control the speakers from different mobile devices, with an option to pair speakers in left/right stereo format available too. The speakers oparate through Qualcomm's AllPlay app, which lets you control each individual device and bang out whatever beats you like.Both PlayLink speakers ship with Qualcomm's AllPlay module built-in, so they should connect to the app hassle-free. Sounds great, but does the PlayLinkactuallysound any good? We gave the speakers a (possibly inconsiderate) 9am full-throttle test-run here at T3 offices, and can confirm that the PlayLink series is a loud, proud audio powerhouse. That's because both speakers operate on three high-performance drivers - an extended range woofer for that wall-rumbling bass, and two hefty mid-drivers that deliver crystal clear vocals. PlayLink 4 & 6 are both designed to support high-res 'lossless' audio files too, up to 24-bit quality, future proofing the devices against the next generation of audio quality. As well as supporting music, the AllPlay system also lets you pump Internet radio stations and streaming services like Rhapsody and Napster direct through your speakers. 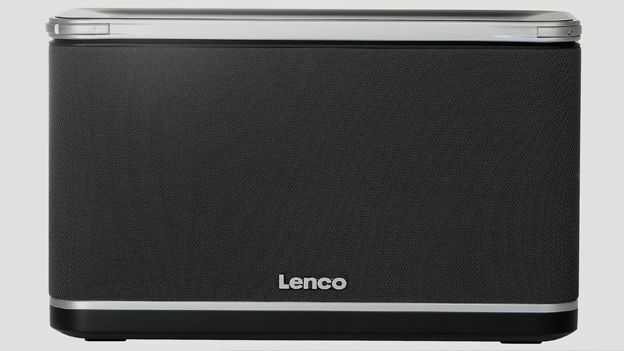 Although PlayLink isn't available just yet, Lenco says the speakers are going into production next week and will be on shelves by September in the UK - right on time for Crimbo splurging.